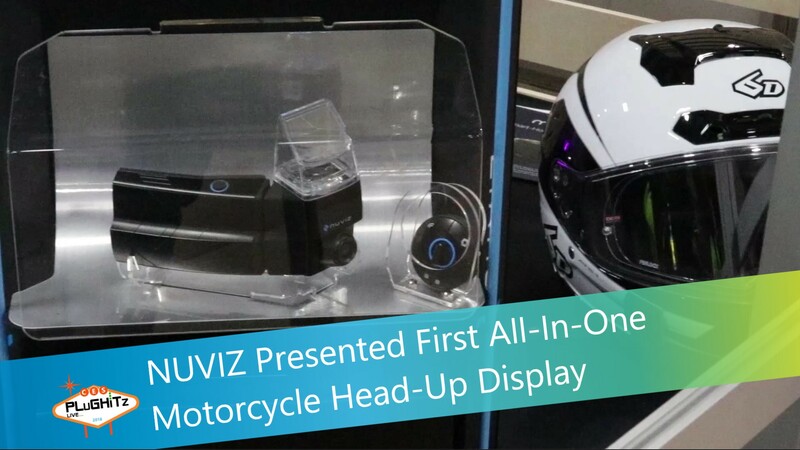 Nuviz has created the first all-in-one motorcycle head-up display with integrated navigation, communication, action camera, and music in a single device. It enables those who ride motorcycles to be less distracted and more able to pay attention to the road ahead. Todd visited the NUVIZ booth and spoke with Peter at CES 2018. NUVIZ has made the only all-in-one head-up display for motorcycle riders. It attaches to a motorcycle helmet. The device syncs to your phone through an app. It has a small remote control that can be mounted to the handlebar of your motorcycle. The remote control was designed to be used by a person wearing a heavy motorcycle glove. The device allows for integrated navigation with GPS. It lets you communicate via Bluetooth intercom, so you can easily find out who is calling you, make a call, or reject a call. It has a camera that enables motorcyclists to record while they ride. In addition, the device can be used as a media player. The NUVIZ head-up display has a replaceable and rechargeable battery. The battery life is eight hours for light use. It lasts for three and a half-hours if you are doing heavy video recording. The NUVIZ all-in-one head-up display retails for $699.